Need to learn more about Microsoft Azure Cloud Software Defined Data Infrastructure topics including reference architecture among other resources for various application workloads? Microsoft Azure has an architecture and resources page (here) that includes various application workload reference tools. 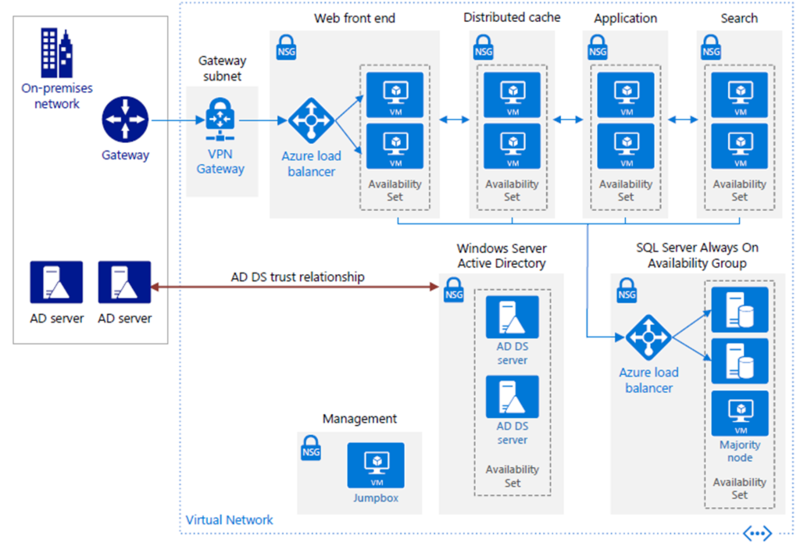 For example, need to know how to configure a high availability (HA) Sharepoint deployment with Azure, then check out this reference architecture shown below. Software Defined Data Infrastructure Essentials (CRC Press). Data Infrastructures exist to protect, preserve, secure and serve information along with the applications and data they depend on. Software Defined Data Infrastructures span legacy, virtual, container, cloud and other environments to support various application workloads. Check out the Microsoft Azure cloud reference architecture and resources mentioned above as well as the Azure Free trial and getting started site here.